Background: To date, there is still inconclusive evidence on the extra-gastric manifestations of Helicobacter pylori (H.pylori) infection. This study aimed to determine whether there is an association between H.pylori infection with metabolic syndrome and dietary habits among medical undergraduate students in south-eastern of Iran, Zahedan. Materials and Methods: This cross-sectional study was done among 363 undergraduate students in Zahedan University of Medical Sciences during spring 2014. All subjects completed a questionnaire including demographic factors and dietary habits. Serum H. pylori-specific IgG antibodies, total cholesterol (TC), triglycerides (TG), high-density lipoprotein-cholesterol (HDL-C), low-density lipoprotein-cholesterol (LDL-C), and fasting blood sugar (FBS) levels were measured after an overnight fast. Results: The seroprevalence of H. pylori infection was 45.7%. H. pylori-positive subjects had lower mean levels of TC and TG and higher levels of HDL-C compared to H. pylori-negative subjects. In addition, lower levels of LDL-C (P = 0.044) and FBS (P = 0.05) were observed among subjects with positive H pylori infection. Only rare consumption of raw vegetables (odds ratio [OR] =3.74, 95% confidence interval [CI] =1.37–5.24) as well as higher levels of FBS (OR = 1.031, 95% CI = 1.001–1.99) were significantly associated with higher odds of H. pylori infection in both the univariate and multiple logistic regression analysis. Conclusion: In a small population of young students in southeastern of Iran, H. pylori infection was associated with low consumption of raw vegetables and higher serum blood glucose. Background: The aim of this study was to assess the atheromatous plaque, in the abdominopelvic arteries as a marker of cardiac risk in patients with or without gallstone disease (GD). 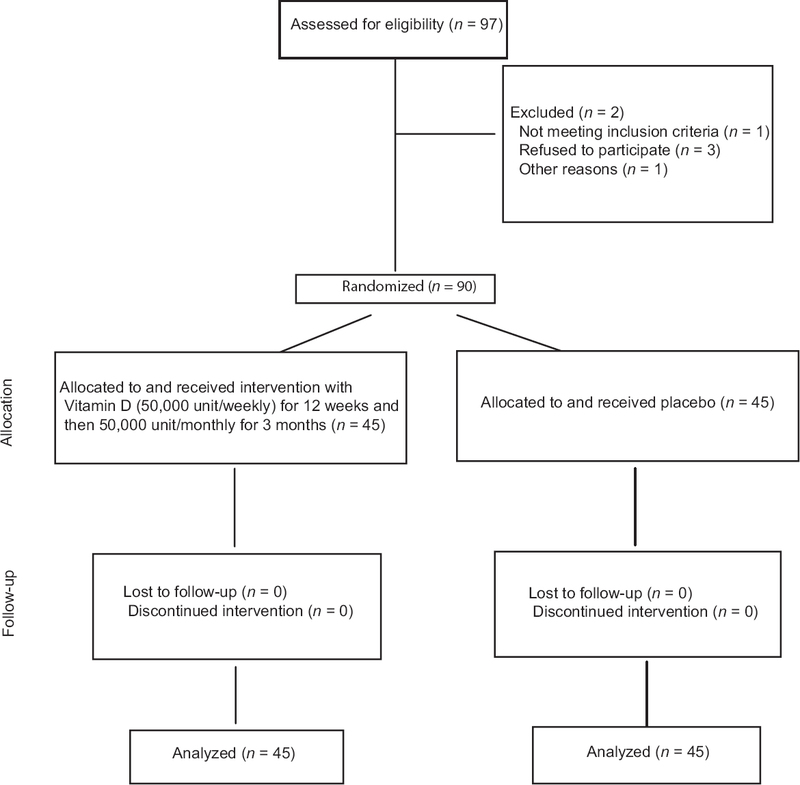 Materials and Methods: A total of 136 patients were enrolled in this cross-sectional study. Forty-eight patients had GD and the remaining 88 patients did not. The presence or absence of gallstones was noted during abdominal ultrasonography while vascular risk factors such as plaque formation, intima-media thickness, plaque calcification, mural thrombus, stenosis, aneurysm, and inflammation were recorded during an abdominopelvic computed tomography scan. 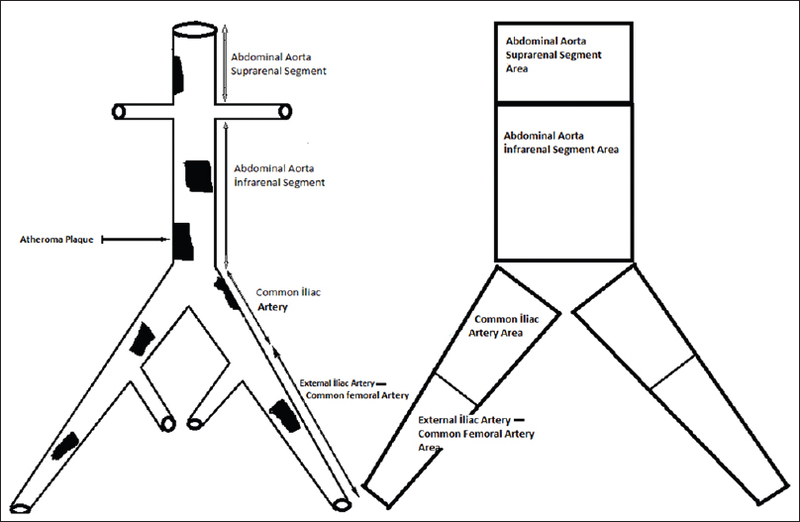 In addition, percentage of the abdominopelvic aorta surface covered by atheromatous plaque was calculated. 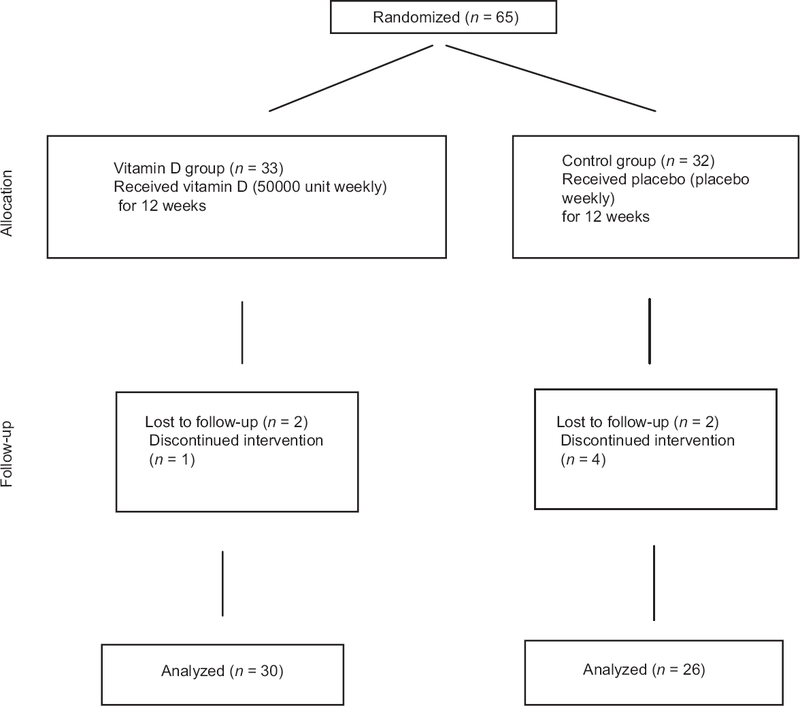 Results: The mean age of patients with GD and without GD was 50.81 ± 16.20 and 50.40 ± 12.43, respectively. Patients with GD were more likely to have diabetes mellitus, a higher body mass index (BMI) (P < 0.001), and higher cholesterol (P < 0.01), and low-density lipoprotein-cholesterol (P < 0.02) levels. No significant differences were found between the groups regarding other atherosclerotic risk factors. Patients with GD had significantly higher rates of the vascular risk factors as intima-media thickness, plaque formation, calcification, aneurysm, mural thrombosis, stenosis, and inflammation in all abdominal arterial segments other than aneurysm in the femoral arteries. In addition, patients with GD had severe atheromatous plaques in the abdominal aorta, common iliac, external iliac, and common femoral artery (CFA). In patients with GD, parameters of age, BMI, and systolic and diastolic blood pressure were all correlated with the severity of the atheromatous plaque in abdominal aorta, common iliac, external iliac, and CFA. Conclusion: We demonstrated a direct relationship between GD and abdominopelvic atheromatous plaque, which is a marker for increased cardiovascular risk, for the first time in the literature. Patients with GD exhibit greater abdominopelvic atherosclerosis and therefore, have a higher risk of cardiovascular disease. Background: Investigating the psychometric properties of existing psychometric scales in societies with differing dynamics can help with their external validity. This research specifically aimed at standardization and validation of Interpersonal Sensitivity Measure (IPSM) scale in Iran. Materials and Methods: Persian version of the IPSM was produced through forward translation, reconciliation, and back translation. A total of 357, nonclinical students were selected through multistage sampling method and completed a set of questionnaires including IPSM. Internal consistency, convergent validity, divergent validity, and test-retest reliability of the Persian version of the IPSM were analyzed. To assess the construct validity, confirmatory factor analysis (CFA) was performed. Results: Total IPSM, as well as all subscales showed satisfactory internal consistency (Cronbach's α =0.86 and 0.51–0.71, respectively). Test-retest reliability at a 2-week interval was significant, with intraclass correlation coefficient ranging between 0.73 and 0.92. In terms of convergent validity, IPSM showed the significant positive correlation with self-report measures of depression, social anxiety, and anxious attachment style. IPSM showed negative correlation with Social Desirability Scale and secure (C subscale of avoidant attachment style [AAS]) and dependent (D subscale of AAS), thus demonstrated divergent validity with these constructs. According to the CFA, the responses of the sample in this study were fitted to the original five-factor structure. Conclusion: The IPSM showed good validity and reliability and could be useful in assessing interpersonal sensitivity in Iranian population. Background: Matrix metalloproteinase 9 (MMP9) -1562C>T (rs3918242) polymorphism has been proposed as a risk factor for coronary artery disease (CAD) with conflicting results. The aim of the present study was to investigate the association of -1562C>T genetic polymorphism, gene expression and circulating levels of MMP9 with CAD risk in an Iranian subpopulation in in Zanjan City. Materials and Methods: This was a retrospective case–control study we investigated retrospectively 100 patients with angiographically verified CAD and 100 matched controls. Genotyping of -1562C>T polymorphism was done by polymerase chain reaction-restriction fragment length polymorphism (PCR-RFLP). Gene expression levels and circulating levels of MMP9 was determined by real-time reverse transcription-PCR and enzyme immunoassay method, respectively. Statistical analysis was done using Student's t-test or Chi-square test by SPSS 16 software. Results: The mean circulating levels of MMP9 were significantly higher in CAD Group than control group (P = 0.002). Mean plasma levels of MMP9 were also significantly higher in triple vessel stenosis patients than double vessel or single vessel stenosis patients (P < 0.001). Moreover, mean plasma levels and gene expression levels of MMP9 were significantly higher in T allele carrier than C allele carrier of MMP9 -1562C>T polymorphism (P = 0.002, P = 0.01, respectively). 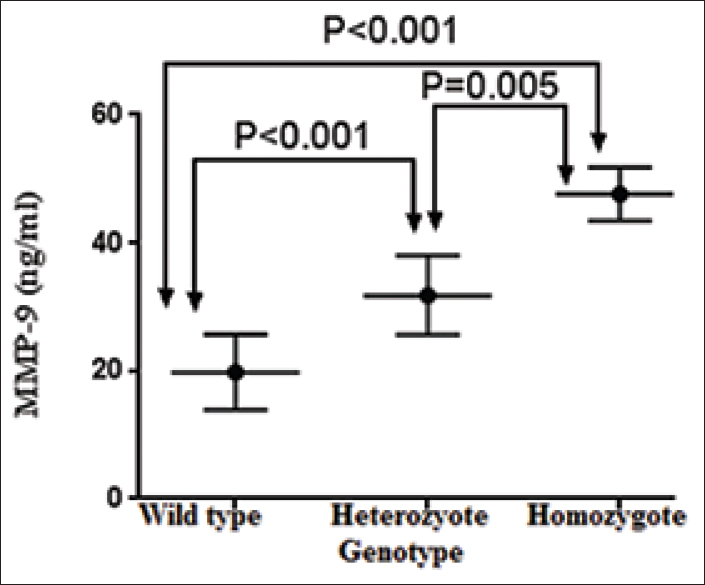 However, genotype and allele frequencies of MMP9 -1562C>T polymorphism were similar between CAD patients and controls (P > 0.05). Additionally, the -1562C>T polymorphism of MMP9 gene didn't increase the risk of CAD in dominant (P = 0.537) or recessive (P = 0.249) genetic models. Conclusion: Our study demonstrated that circulating levels of MMP9 but not -1562C>T polymorphism of MMP9 gene may be a risk factor for development and severity of CAD in an Iranian subpopulation in Zanjan. Background: Endometriosis is a multifactorial hormonally related complex disease with unknown etiology. Epidemiologic data were suggested the possible effects of endocrine disrupting chemicals such as bisphenol A (BPA) on endometriosis. BPA is similar to endogenous estrogen and has the ability to interact with estrogen receptors and stimulate estrogen production. Our aim was to evaluate the relationship between urinary BPA concentrations in women with endometrioma. Materials and Methods: This case–control study consisted of fifty women who have been referred to gynecology and infertility center with endometrioma and were candidates for operative laparoscopy and ovarian cystectomy as cases. Fifty women who had not any evidence of endometrioma in clinical and ultrasound evaluation and came to the same clinic for routine check-up were selected as controls. One-time urine sample was collected after receiving informed consent before surgery and medical intervention. Total BPA in urine was measured with high-performance liquid chromatography method and detection limit was 0.33 ng/mL. Results: Percentage of urine samples containing BPA was 86% of cases and 82.4% of control. Urinary BPA showed a right-skewed distribution. The mean concentration of BPA was 5.53 ± 3.47 ng/mL and 1.43 ± 1.57 ng/mL in endometriosis and control group, respectively (P < 0.0001, Mann–Whitney U-test). The logistic regression showed that the odds ratio of the BPA was 1.74 (95% confidence interval: 1.40–2.16) after adjustment of age, parity, body mass index <30, and educational status. Conclusion: This study showed a positive association between urinary BPA concentrations and endometrioma. However, further large-scale studies are needed to confirm this hypothesis. Background: Human chorionic gonadotropin (hCG) as the most important factor to controlled implantation is one of the early embryonic signals in primates that is secreted by the embryo before its implantation. 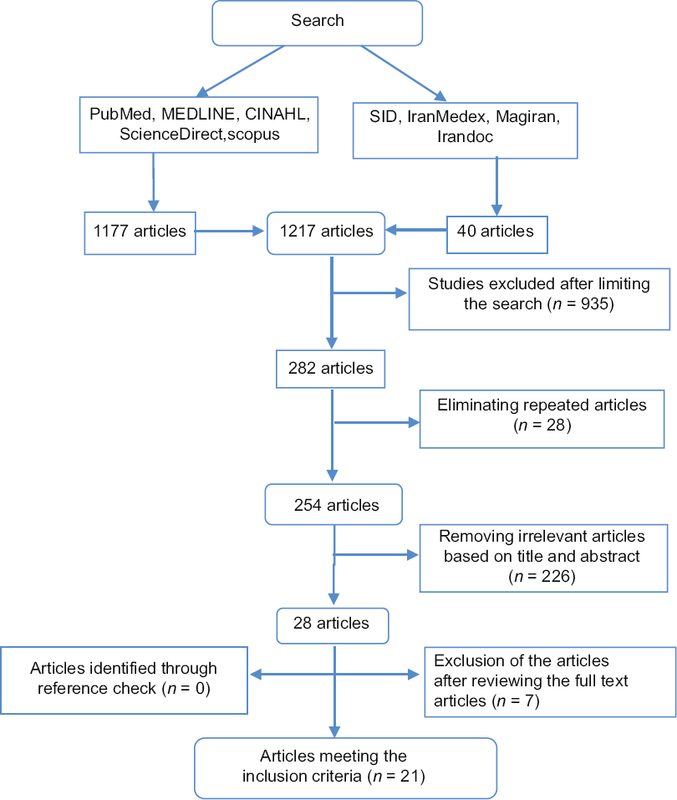 This study was designed to assess the effects of intrauterine injection of hCG before the embryo transfer in an in vitro fertilization (IVF) or intracytoplasmic sperm injection (ICSI) cycle on pregnancy rate in infertile patients. 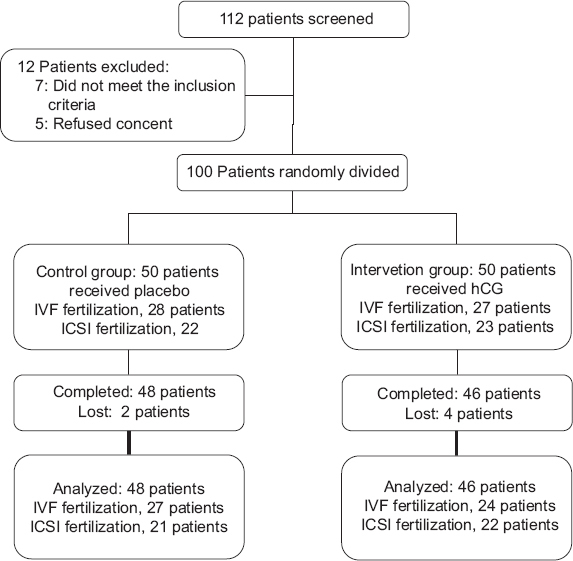 Materials and Methods: This randomized study was done on 100 infertile patients in two groups: intervention group received injection of 700 IU of intrauterine hCG 10 min before embryo transfer and control group did not receive hCG. The pregnancy rate was tested 2 weeks after embryo transfer, and if the pregnancy test was positive, a transvaginal ultrasound was performed 3 weeks later to search for signs of pregnancy, such as the presence of a gestational sac, embryo, and fetal heart rate, and confirmed as successful pregnancy. Results: Pregnancy test was positive in 13 (28.6%) of 46 patients in hCG group and in control group was positive in 6 (12.5%) of 48 patients. The pregnancy rate between hCG group and control group was not significantly different (P = 0.54). The pregnancy rate in hCG group with IVF fertilization was 20.8% and in their controls was 7.4% (P = 0.51). The pregnancy rate in hCG group with ICSI fertilization was 36.4% and in their controls was 19% (P = 0.16). Conclusion: The intrauterine injection of 700 IU of hCG before embryo transfer improved pregnancy rate compared to control group but was not significantly different. Background: The present study was performed to develop a scoring system for predicting cure status in patients with cutaneous leishmaniasis (CL). Materials and Methods: This study included 199 patients with CL from Skin Diseases and Leishmaniasis Research Center (Isfahan, Iran). Data were collected as longitudinal in each visit of patients. We applied ordinal logistic generalized estimating equation regression to predict score on this correlated data. To evaluate the fitted model, split sample validation method was applied. SPSS software was used for data analysis. Results: The regression coefficients of the fitted model were used to calculate score for cure status. Based on split-sample validation method, overall correct classification rate was 82%. Conclusion: This study suggested a scoring system predict cure status in CL patients based on clinical characteristics. Using this method, score for a CL patient is easily obtained by physicians or health workers.